Meet Yoshi, a three-year-old rescue mutt who pretends he’s a lap dog, chases squirrels, and steals leftovers from the trash. What has four paws, a fluffy tail, and a spot in the office? For our Modernize staff, the answer is simple: we have nothing but love for our four-legged creatures, especially ones with a cold nose and floppy ears. 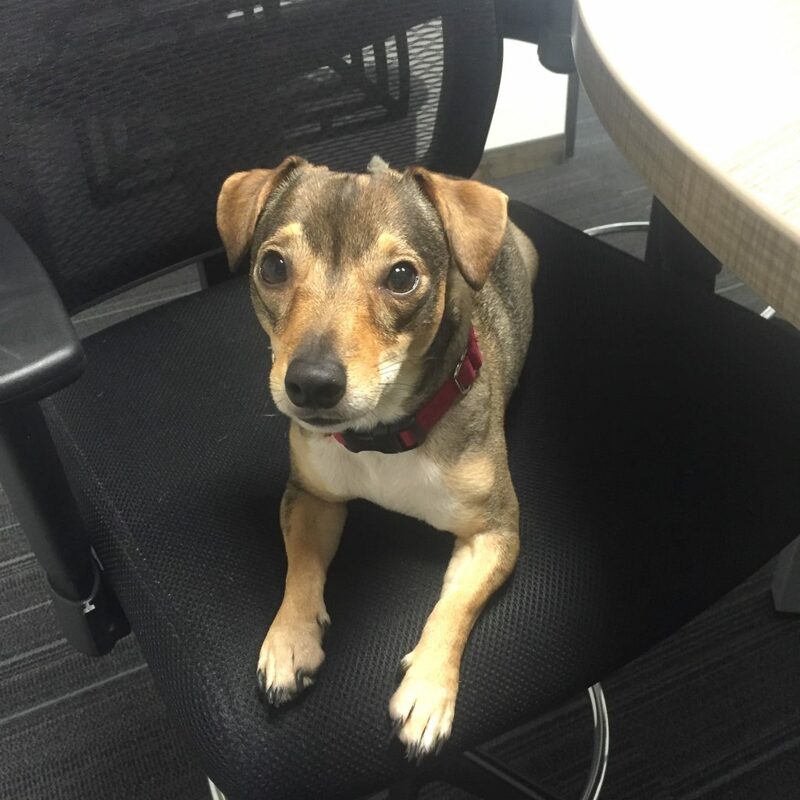 Our “bring your dog to work” policy is just one of the perks we give our employees to bring a little part of home right to the office. Of course, managing a gaggle of rascally pups required just a little bit of organizing on our part. After all, we didn’t want doggy days to turn into a full-fledged wolf pack! So we did what we do when we approach any challenge: we dug in and created a plan! Here’s how we keep our four-legged pals happy—and boost employee morale, to boot! 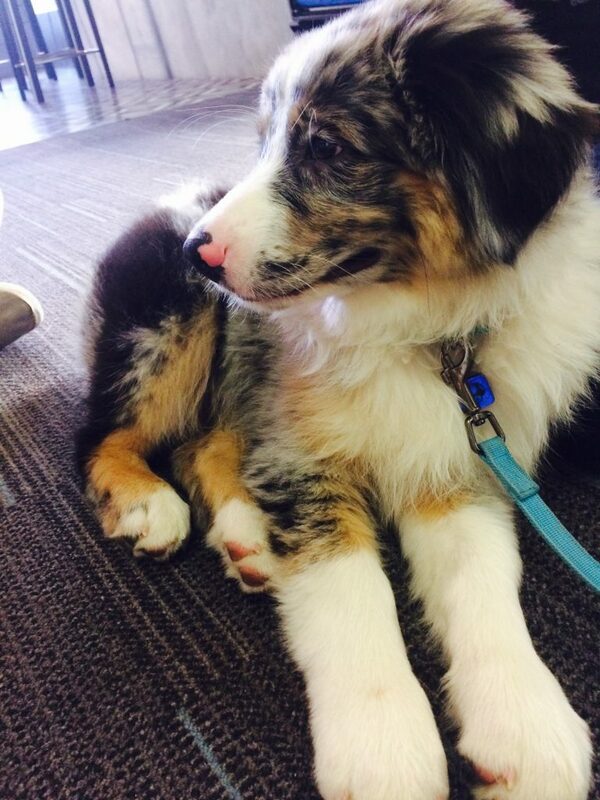 This fluffy Australian Sheperd puppy, Dab, also goes by Daberdoodle and melts the hearts of everyone who sees him. 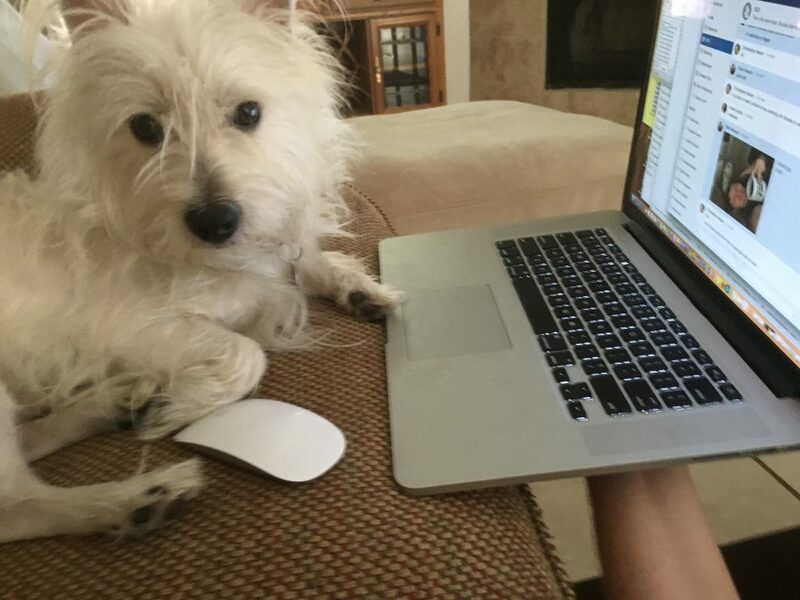 Our crew here believes collaboration is key, whether that’s planning a new website update, building a network of partnerships, or planning our doggie daycare! The Modernize team works together to pick visiting days for each pup—only one dog per floor, per day. That way we don’t have seven different pets scrapping, fighting, and running amok. 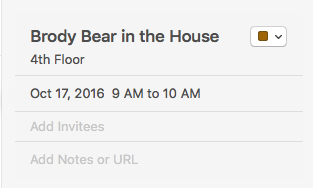 Team members schedule days for their dogs using a shared calendar, and make an event for the time that their pet will be present. That way, everyone in the office knows what pup to expect on what days—and when they need to tuck some extra treats in their desk drawer! Shiner is a two-year-old liver spotted Dalmatian who loves playing fetch, giving hugs, and running as fast as he can. You don’t have to look far to find research showing that pets improve stress and overall health. Our office pups help us maintain a healthier approach to our work lives. After all, they don’t have any qualms about coming to us for a break for pets or a walk around the block—and they make us focus on taking a little time away from the keyboard. That little reminder is really important—as a young startup, there’s always plenty to do, and it’s easy to get sucked into a mindset that’s always go-go-go! But that kind of grinding away can get you to burnout city fast. Having a literal nudge in the form of a wet-nosed best friend is one way we keep work overload at bay. We encourage our staff to take time to play with one of our furry denizens, or take them for a quick jaunt outside—so they can both come back to work refreshed and revived. 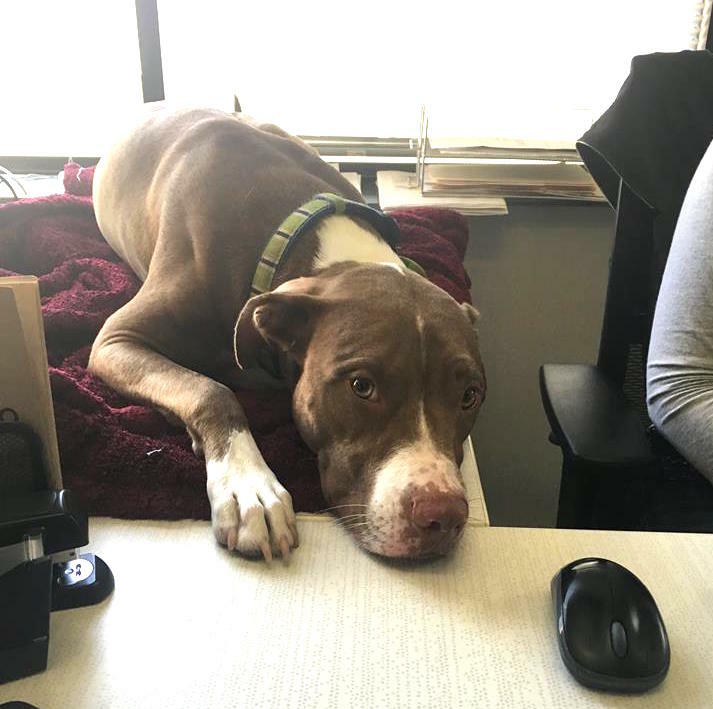 When Banfield Animal Hospital surveyed the impact that dog-friendly offices had on employees—their “PAWrometer,” as they called it—they found that 88 percent of the 1,006 team members surveyed said that dogs in the office improved company morale. For HR managers, the impact was even greater. Ninety-one percent said they had seen a positive effect on their staff since dog days were implemented. Those results echo exactly what we’ve seen here at our Modernize offices. Our pet owners feel less guilt about leaving their pets at home, since they can schedule a visit when they know they’ve got a long day ahead of them. And our dog-free employees get the benefit of a surrogate pup—without all the work of full-fledged pet ownership. It’s a win-win for everyone! Captain may have a puppy face, but he’s almost three! This spunky mini dachshund-Jack Russell terrier mix loves to play fetch and charm you into giving him your lunch! Austin is a city of dog-lovers—our outdoor bars, eateries, and venues not only allow dogs in, but also provide water bowls, treats, and snacks for their furrier patrons. Our businesses are so dog-friendly, in fact, that you can even get dog biscuits at our local drive-thru. Everywhere you go, there are new pups to pet and play with—so why shouldn’t that ethos extend to our offices too? 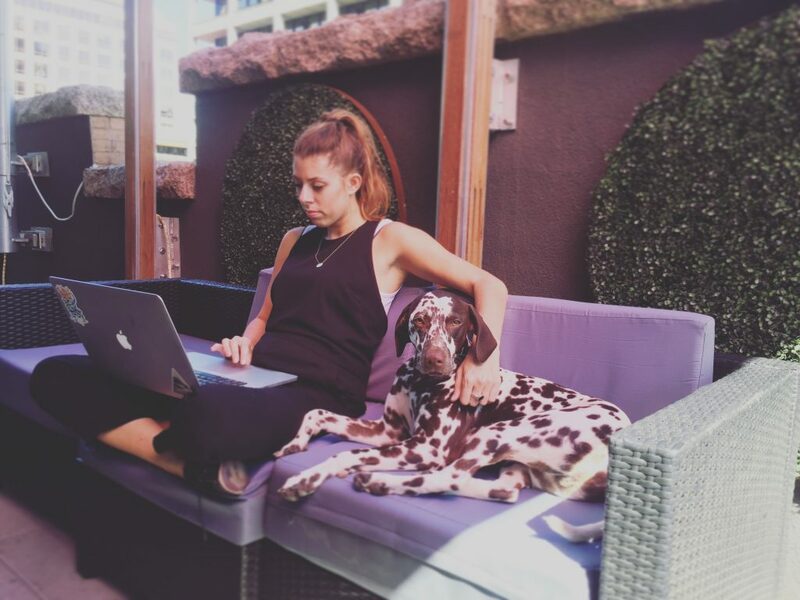 Bringing our canine friends to work is just one of the ways we keep it chill here in the ATX. Seriously, how many other offices let you break for a game of fetch between meetings? It’s just one of the many, many ways Modernize celebrates the Austin vibe—and keeps our employees’ tails wagging too. Meet Brody: a two-year-old Westie known for his energetic demeanor and weird howling noises. He loves walks, tennis balls, and beef dog treats. Ready for some quality time with our office’s dogs? Visit our Careers page to read up on our open positions.